Chocolate is a global commodity, but the cacao it’s made from comes in different varieties of varying quality. As consumers discover the subtle flavors of single-source cocoa, this company is working to make sure that demand lifts the fortunes of small producers around the world. 3 January 2018 | Chocolate once reigned supreme in Central America: the Mayans considered it the food of the gods, and they used cocoa beans as a form of currency. But the birthplace of chocolate has benefitted little from the chocolate boom – despite the fact that this is where most of the world’s purest and most flavorful beans, called “criollo” beans come from. Indeed, whil Ghana produces more than 40 percent of the world’s cocoa, Belize and Guatemala combine for only about 1% of global production, leaving its indigenous producers on the sideline. But that’s changing as gourmets come to appreciate both the higher quality of criollo beans, which account for less than 3 percent of world production, and the importance of buying from chocolatiers that treat their suppliers right. 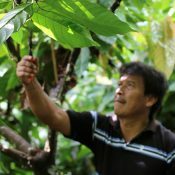 With this new trend, initiatives like Uncommon Cacao (named for the cacao plant that provides the raw material for the cocoa we buy in stores) have found an enormous opportunity to revive chocolate production in countries with a rich tradition of cocoa cultivation like Belize and Guatemala. 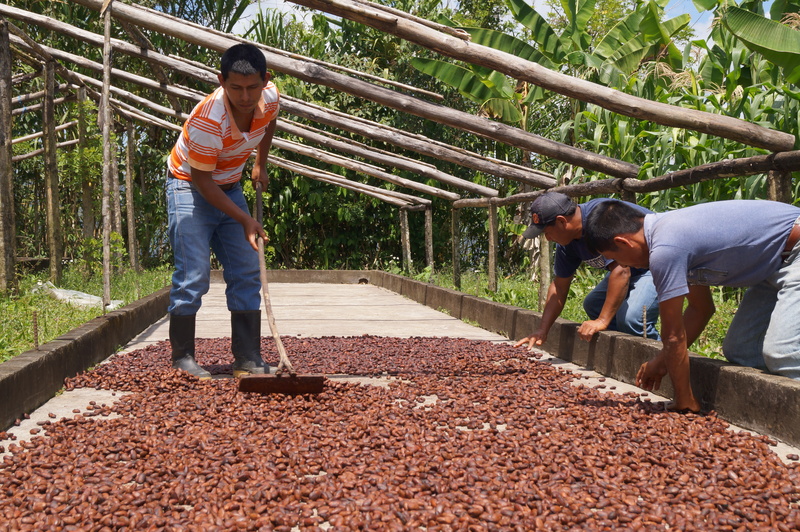 Commoditized cocoa often passes through multiple middlemen and processors, but “bean to bar” producers work directly with farmers or cooperatives and handle all of the processing themselves. Once there, she found a small cooperative that had been certified sustainable by Fair Trade, but was struggling to make ends meet – largely because of procedural issues that could be easily corrected and demand issues that she sensed would soon fix themselves. Farmers, for example, tended to dry and ferment beans in their houses and then transport them by bus to the village, often to find they didn’t meet the quality criteria established by the cooperative. At the same time, aggressively-harvested cacao would wreak havoc on soil, so cacao became a low-priority crop, behind sugar and coffee. Meanwhile, few outside Belize had tasted the country’s unique chocolate – but those that did were liking it. That same year, Taza, UC, and Dandelion Chocolate pooled their resources to start working with Mayan Q’eqchi’ communities, and Maya Mountain Cocoa (MMC) was born. Fifty-two families joined the program, and their plots were soon certified as organic by the Intitute of Marketecology (IMO). By 2013, UC was exporting six tons of cocoa per year to 10 US bean-to-bar chocolate companies and gaining international recognition. It won the International Chocolate Awards, Good Food Awards and the Academy of Chocolate Awards, and Belize, was now in the chocolate map. 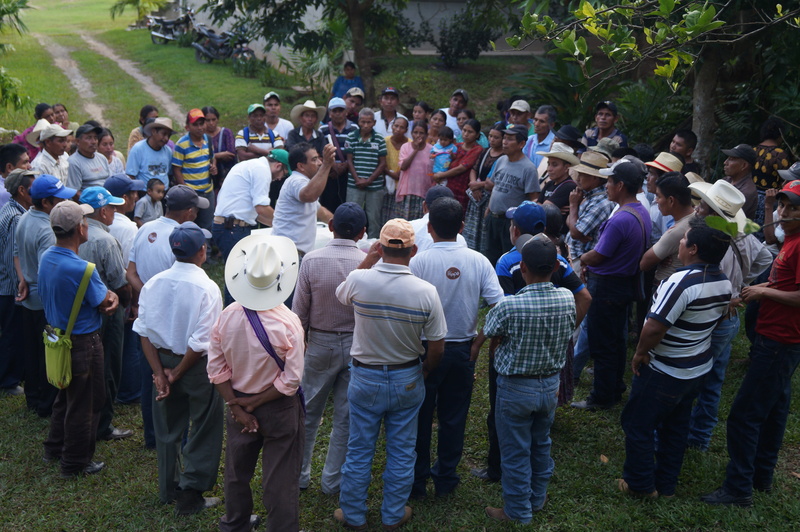 Farmers receiving technical training at a community meeting in Lachua, Guatemala. By 2016, UC’s network had grown to 2620 farmers, of whom 868 are women who are growing cacao in 3194 hectares; and by 2016, farmers’ revenue had increased 61%. Meanwhile, consumers were gobbling up the product, and UC faced a challenge any businessman would envy: meeting the surging demand. But orders for Maya Mountain Cocoa were backing up, and it became clear that Belize did not have the capacity to satisfy that market, so Stone turned to neighboring Guatemala. The country was home to the same Maya communities (Q’echi’ and Mopan), and it produced much more cocoa (2000 tons) than Belize did while facing the same quality challenges that Belize had when UC first showed up. It also had interested US buyers, like Lake Champlain Chocolate, which had an affiliation with local NGO Fundación Lachua and was interested in buying cocoa. They met with Stone and hired her as a consultant to replicate the processes she’d undertaken in Belize, and soon they were buying six tons per year themselves. More than 40 chocolate companies now buy from Guatemala, but most consumers still don’t know about single-source cocoa. So UC acquired a cocoa broker in the US and is now importing cocoa from select communities in a half-dozen countries, and selling more than 200 tons of community-specific cocoa to more than 130 chocolatiers.